More than 20 years ago, during the heyday of Riot Grrrl, WAC, SWIM, Rock for Choice, the Nuyorican Poets Cafe, and the dawn of the Clinton era, I moderated a panel called “The F Word” at the annual CMJ Music Marathon in New York. Tracie Morris, GB Jones, Kathleen Hanna, Erin Smith, and Sha-Key were among the punks, poets, rappers, and activists who joined me for this discussion of punk and politics, rap and representation. This was back when not only would it have been unheard of for the world’s top pop star to gyrate in front of a giant feminist sign at the VMAs, but when the very idea of this panel at an alternative music conference was attacked by some hipsters — though the room was packed. In honor of the Alien She exhibit of Riot Grrrl-inspired artwork, which is currently at the Orange County Museum of Art, I’m revisiting this discussion March 13. Original panelist Tracie Morris and special guest Alice Bag will join me for this literary event, dubbed (with a tip of the hat to Hova, “The F Word, Vol. II”. I toured the OCMA exhibit Feb. 13, and it’s a powerful experience. Original PRDCT gig flyers paper one wall. There are stacks of fanzines, old and new. The brilliant multimedia work of Miranda July occupies one corner; Tammy Rae Carland’s photos fill a room with humor and pathos. Most of the artists are more Revolution Girl Style inspired than RGS per se. I would like to see the work of some artists who were more central to that nascent moment, such as GB Jones and Tinuviel (both of whom were on the original F Word panel, in fact). But curators Astria Suparak and Ceci Moss get mucho props for putting this touring show together, for restarting this vital conversation. I had the funniest sensation when I left Alien She and entered the next exhibit: After being surrounded by these feminist and queer images, the art in the next room seemed to me jarring and, well, patriarchal. My gaze had been inverted; seeing women viewed from the back for the billionth time, or lying prone and splayed, was now revealed for what it was: obvious, objectifying, cliched. It’s the feeling I used to get at Riot Grrrl meetings: that suddenly I was in a room where the way I saw the world made sense to others, and nothing would ever be the same again. Two decades ago, still reeling from the ’80s Backlash, we called feminism the F Word because we knew it was suspect and mocked. March 13, Tracie, Alice, and I will talk about what has, and hasn’t, changed. 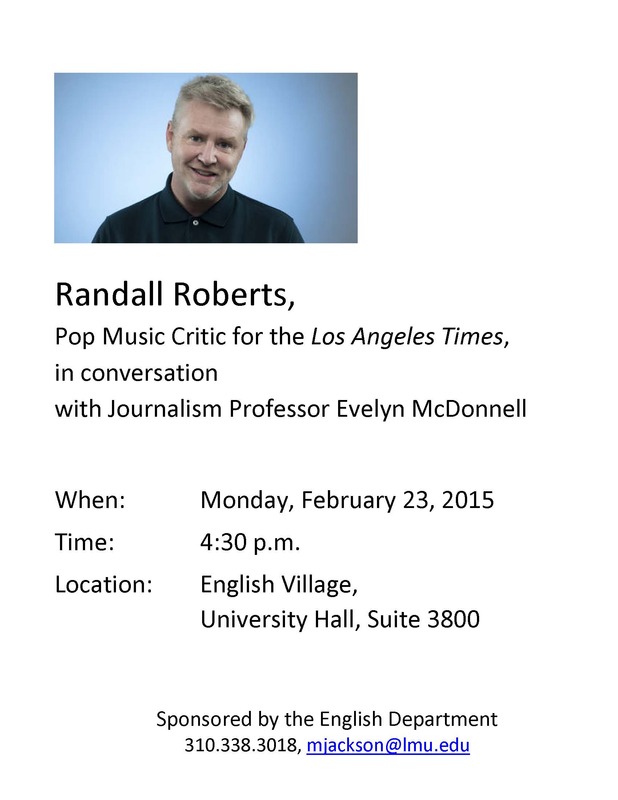 Los Angeles Times pop music critic Randall Roberts will sharing his experiences and expertise with my Journalism students at LMU. All are welcome. I hate it when my students drop out of LMU. But when they go on to make great music, I guess I feel like I’ve still accomplished my mission. Check out Harmony’s harmonies in Girlpool’s “Chinatown”. 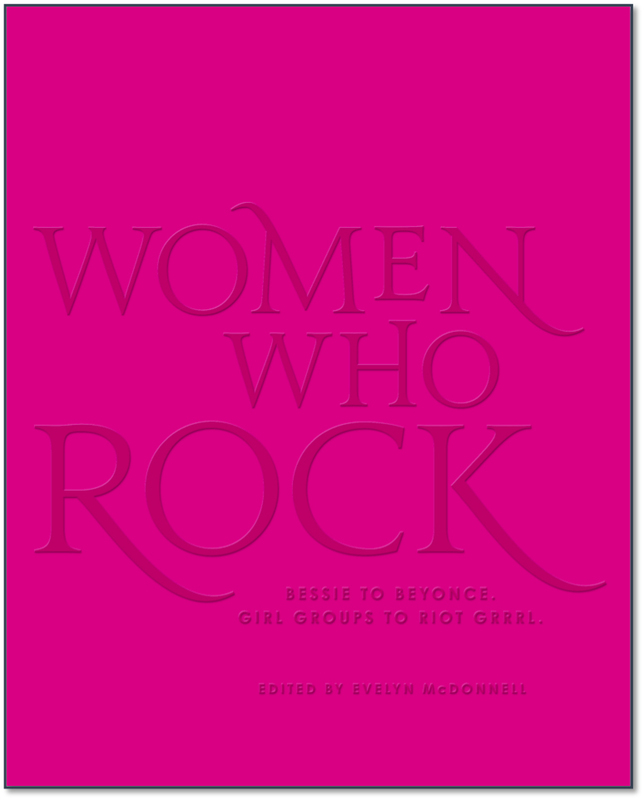 This week the online archive Rock’s Backpages features me and a few of my writings on Ronnie Spector, Riot Grrrl, and Ellen Willis.